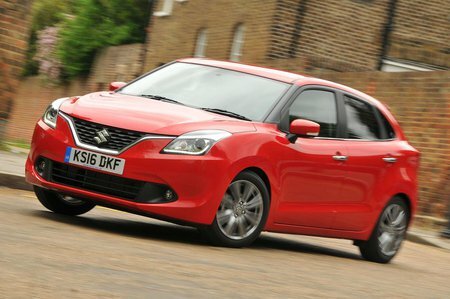 Suzuki Baleno Performance, Engine, Ride, Handling | What Car? The little three-cylinder turbocharged engine in the entry-level 1.0-litre Boosterjet version of the Baleno produces around the same amount of power as the most potent 1.2-litre Skoda Fabia. In a car that weighs less than a tonne, performance is much peppier than the official numbers would have you believe. You don’t have to work the engine particularly hard, either. By 2000rpm it is well into its stride, and you rarely have to venture above 4000rpm. If you do, the engine emits the distinctive but not unpleasant thrum we’ve come to expect from these little turbocharged three-cylinder units. There is, however, the telltale vibration that can be felt through the steering wheel and pedals. It’s much better than in some rivals, like the Hyundai i20, but may come as a surprise to those coming from traditional superminis with four-cylinder engines. There is no diesel option in the range; instead economy-conscious motorists should look at the 1.2-litre hybrid model. Unlike cars such as the Toyota Prius, it can’t run on battery power alone. Instead the electric system helps get the car moving at low speed. It is noticeably slower than the Boosterjet but is capable of significantly better economy in the real world. As for handling, there are reasonable amounts of grip, although the economy-orientated tyres mean there is less than in a Fabia. 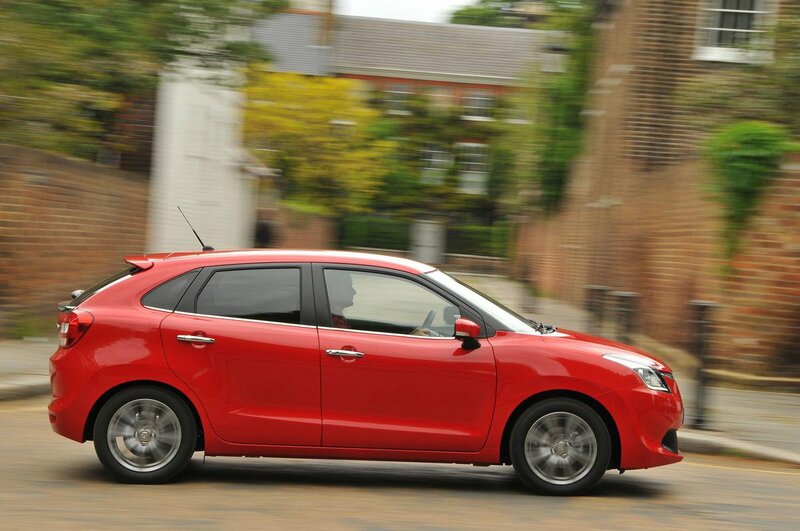 The Baleno is secure, but it isn’t fun. The steering doesn’t give much feedback from the front tyres, and it requires constant small corrections on motorways. You’ll also find yourself twirling the wheel an awful lot to get it round corners. There’s a lot of body lean in corners, too. Despite the soft suspension, you do sometimes feel the road’s surface and the suspension is noisy when it’s moving up and down. You also hear plenty of road and wind noise at speed. Still, this is a supermini so a certain amount of this is to be expected; it’s by no means the worst in its class.